Banned for speaking too few languages. Banned for talking with your hands. Peter Gabriel wrote a song called "Lay your hands on me", and when he performed it live he would stand at the edge of the stage and fall into the hands of the crowd who would pass him around while holding him up with there hands, so I ban you from going to his shows which are hands on affairs. Banned for not lending a hand. *says in fake Cuban accent* Say 'hello' to my little friend! Banned for alluding to a Beatles song while banning. There is nothing really friendly about a ban. There is nothing like a ban. Banned for posting while I was about to post a ban. The only place that red text warning you of that is here really. Banned for not being quick enough. Banned because who knows who I'll be banning by the time this post shows up. Banned for being moderated. Seriously, moderation really stinks. Banned for smelling your bans rather than just flushing and moving on. Banned for having eating habits that make your bans smell to begin with. Thrice-banned if you don't know what thread I am referencing. Banned for your avatar. Gotta catch em all! 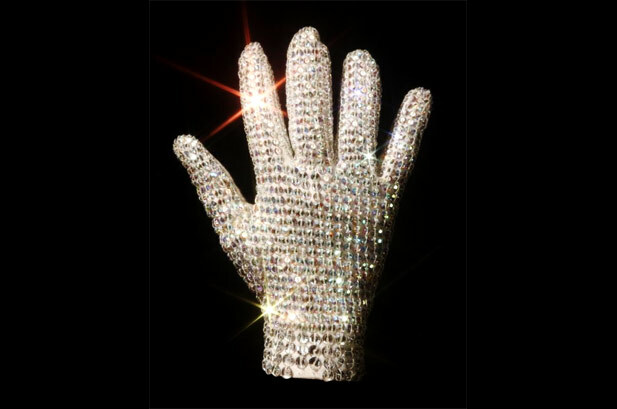 The Beatles sang "All you need is love"
Frank Zappa sang "All you need is Glove"
Michael Jackson just wore the "Glove"
With this glove, All you need is Banned"
If Billy Jean is your lover, who thinks you are the one, and the kid is your son, you are banned. Hey Justin are you ok? Hey Justin are you ok? Are you ok Justin? You've been hit by...you've been struck by...a smooth banning. Banned by the late Casey Kasem. Did you know he was the voice of Shaggy on Scooby Doo?? Yonkers! You're banned! Let's get out of here Scooby! This guy's a monster! All I know is your banned. Banned for silly grammar mistake. "Your" or "You're"? Banned for being a silly prescriptive grammarian. Banned because you are absolutely right. Banned because you're not on your way anyway but out the door. Banned for banning someone with a quote from Scripture, especially when said quote is irrelevant. Ilyazhito, We, the Holy See, and by virtue of our Holy Office, which from the time of Peter until the present time, to hereby ban, excommunicate and declare thee anathema, to be cast into hell with the the devil and all his angels without the reprobate into eternal perdition! For having denied the proper interpretation of the Holy See of the Scripture where it is written, "he that toucheh pitch shall be defield", thou art worse than all the Jews who killed Christ, all the infidels who deny His trinity, all the pagans who worship idols, all the fools who deny his existence, all the schismatics who separate themselves from this Holy See, and all the dunghills of the dogs. Banned because I hopefully wil never actually be banned from here. Banned for falsely impersonating the Pope. Anyway, nothing the Pope says or does is binding on Orthodox Christians because he is a heretic who persists in teaching heresy. Banned because if the Catholics are right it is sad that heretic is more often used by the schismatic Greeks. But lean towards the Greeks, well banned just because, well, I don't need a reason. Banned for having so much text underneath and above your profile pic. Banned for the French text. You're a citizen of the interwebs; learn to speak interglish! Banned for not putting one of those really neat gif's in your sig. Banned unless he cans solve our riddle, Precious. Yes, my precious. What is its name? It is a minasoliman.....its will go free if it cans answer the riddle below. We wills not put neat gif in our sigs shall we my Precious? Boil em, ban em, stick em in a stew! Banned because it's Friday, you can't have stew until tomorrow. Banned because while you are right, cannibalistic cooking is allowed on Fridays. Eating people is what is forbidden on Fridays.